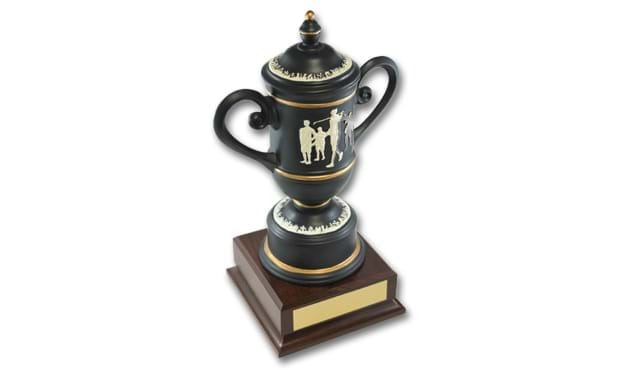 This trophy features a ceramic cup with a raised golf scene in three tones that give it an artistic flare. Comes mounted on a cherrywood laminate base that has room for annual plates. Award measures 12 1/4" tall. Perfect to use as a fantasy golf trophy. Main plate with inscription is included in the price.